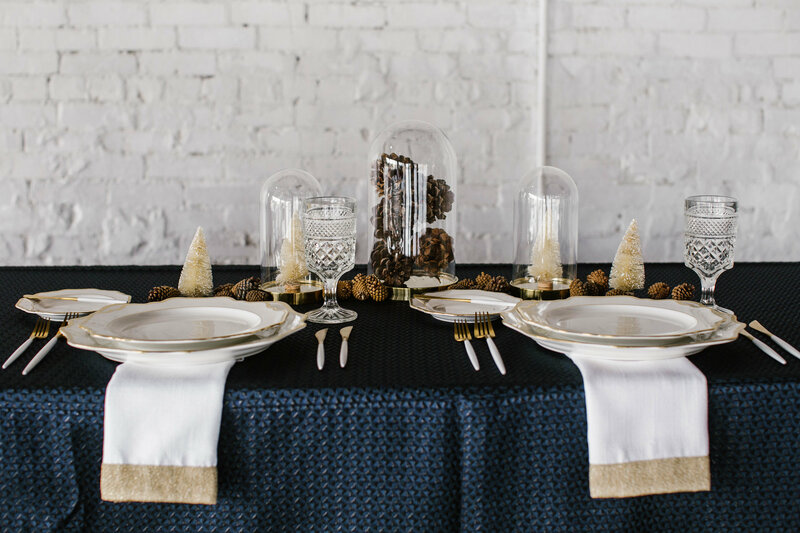 We’re excited to share a new Christmas tabletop design with you as we continue on our journey through the 12 Days of Christmas Tabletops. Next up is, 10 Lords a Leaping, and we love this deep winter blue style that offers an elegant woodland look! 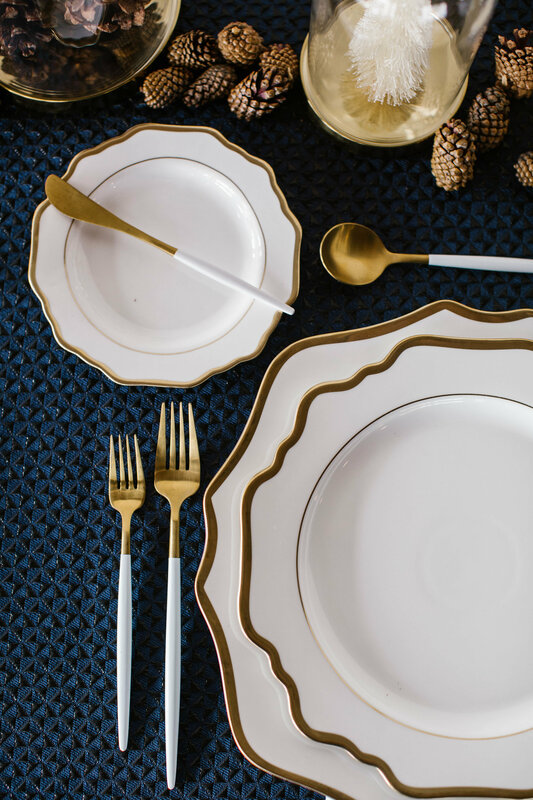 As always, make sure you check out the beautiful images captured by Jenna Nicole Photography, along with some insider knowledge regarding the design of this look from Laura Helm of Ashton Events and Emily Waters of Treasury Rentals.